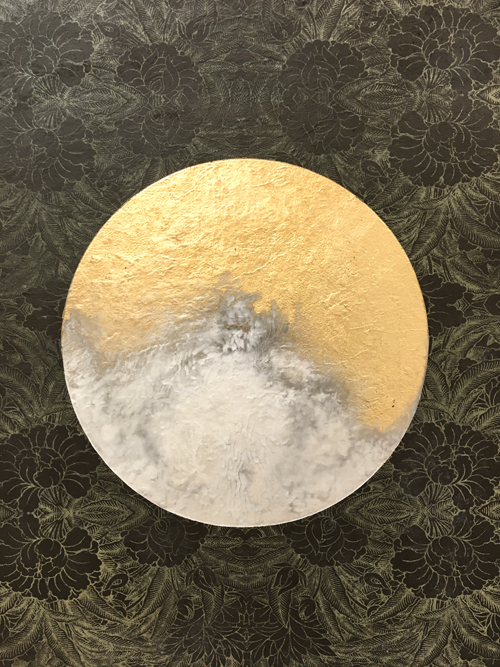 "Annunciation II" (2016), 36” diameter, oil with 23k and 21k gold on panel. In December, when Long Island artist Karen Fitzgerald introduced herself, we were immediately struck by the colors and shapes. Fitzgerald uses color as pure light, and it seems only fitting that we chose her gold on panel painting, "Annunciation II" to open this interview. In Luke 1:26-38, the Angel Gabriel appears to Mary and announces that she will be the mother of Jesus, and she says, "yes." The Annunciation is the beginning of Jesus in His human nature, and in Fitzgerald's work, there is also this blending of the human and the divine energies. That is not, however, to say, that her work is filled only with hidden symbolism. Sometimes, it is simply nature. Karen Fitzgerald is our INSPIRE ME! Artist-of-the-Month for January 2018. Enjoy her story! Karen Fitzgerald in her studio in Long Island City, NY. Image courtesy of Orestes Gonzales. 1. What is your faith tradition, and how does it impact your art? I was born and raised Roman Catholic. I was recruited at age 12 to provide organ music for our country parish. Until I graduated from High School at age 18, this job was a part of my life. It provided a deeply spiritual backdrop to my thinking, and my experiences in the natural world. 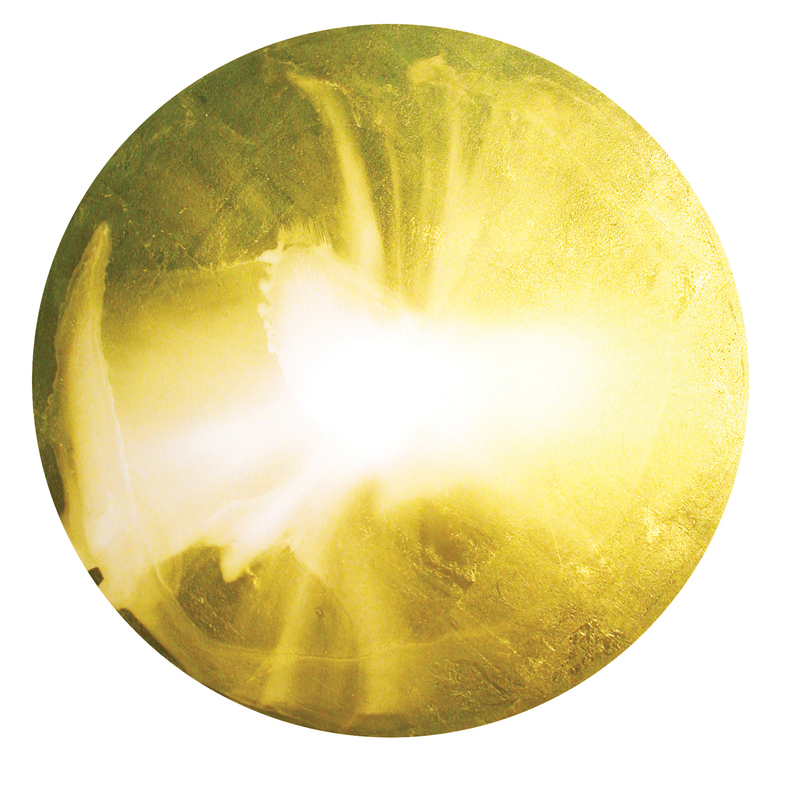 "I Am A Thousand Winds That Blow" (2009), oil with 23k gold on prepared paper, 35”x32” overall, image 20” diameter. 2. Describe your artwork. What style or genre is it? 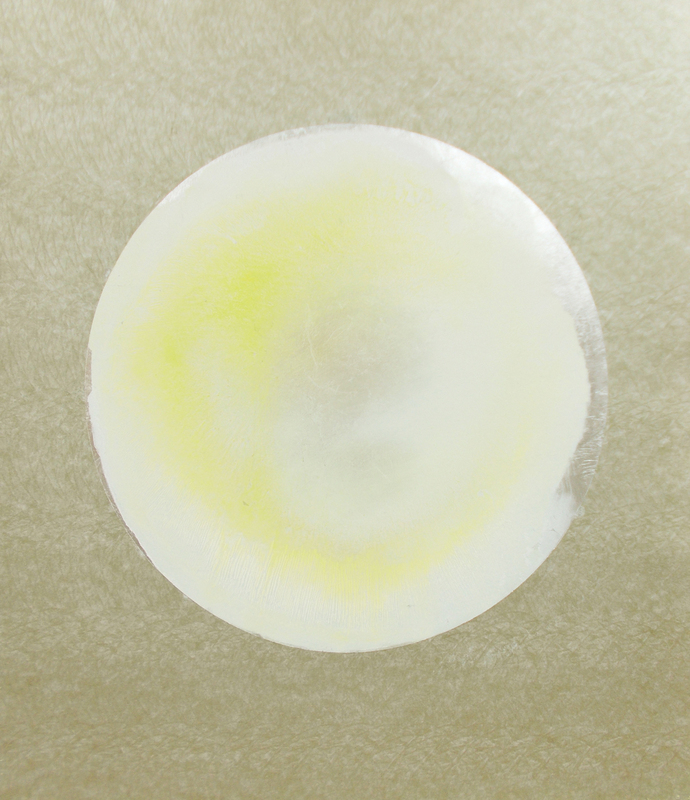 My work is traditional: I apply oil paint to a substrate! 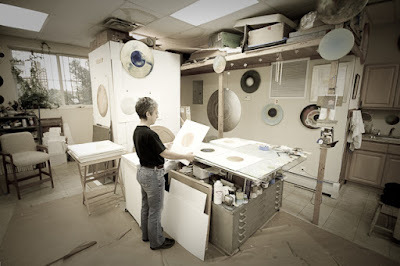 It is contemporary in that I am working on a less-than-traditional form, the tondo. I combine language systems, abstraction and representation, producing an idiosyncratic aesthetic. For 10 years I have been using gilding extensively, recalling its Renaissance use as an indicator for the sacred. "Mu" (2015), oil with aluminum on patterned, prepared paper, 35”x31” overall. 3. Have you ever had to defend exploring religious ideas? Never. 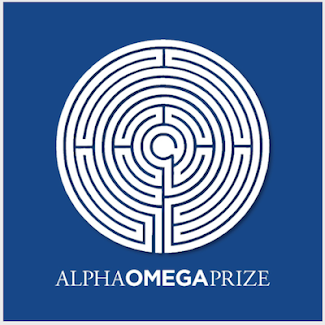 I explore the spiritual side of experience in a broad sense, often referencing ideas and practices that are not found in the Judeo-Christian tradition. While the art world at large does not embrace spirituality within aesthetics, I do. As it turns out, this content has pushed me toward independence. "Shy Moon" (2013), oil with 23k gold, palladium on panel, 42” diameter. 4. Who collects your work, and why? A broad range of people collect it. Many corporations concerned with healthcare have my work in their collections. 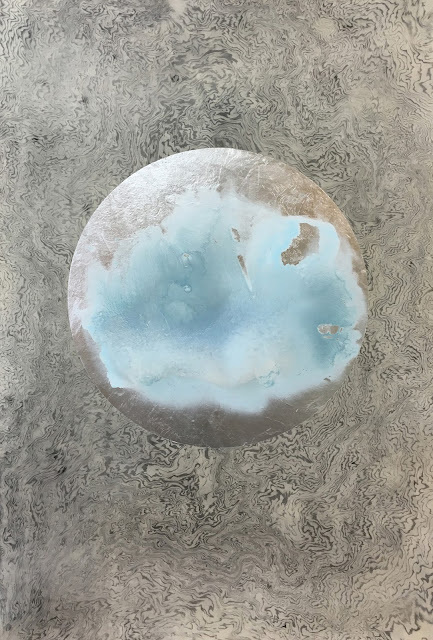 I believe people are drawn to the conversation my work engenders – its serene, meditative qualities profoundly alter the energy dynamics in whatever space it occupies. 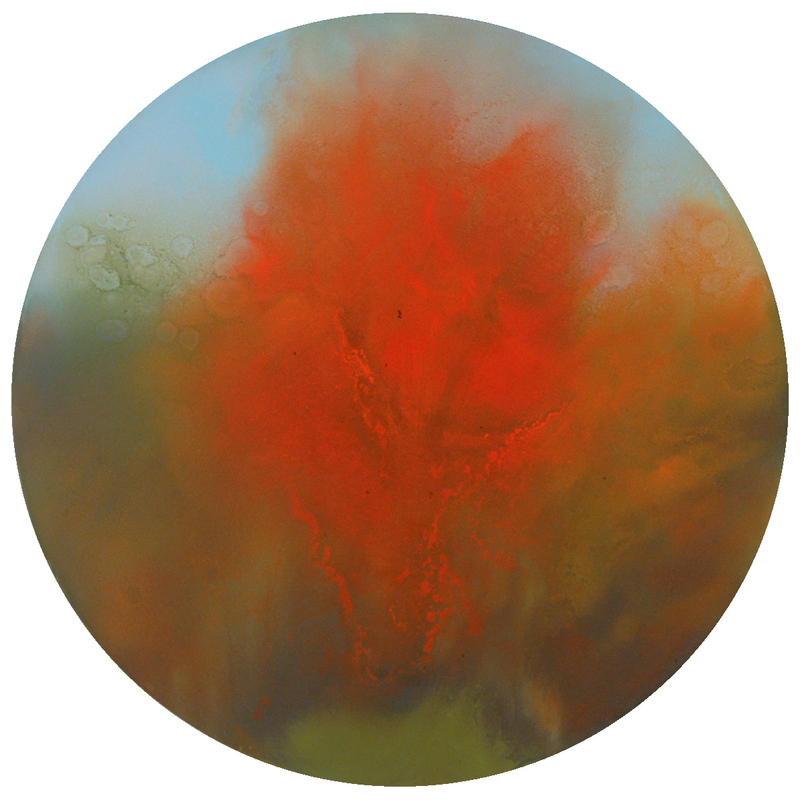 "Burning Bush" (1999), 60” diameter, oil on canvas. 5. What "risks" have you taken in creating your work? The main ‘risk’ I have taken is to hold my vision, to pay attention to the subtle aspects of energy within the world that I want to explore. Early in my career, it was challenging to gain traction for the work. It was a risk to address isolation through the work itself. 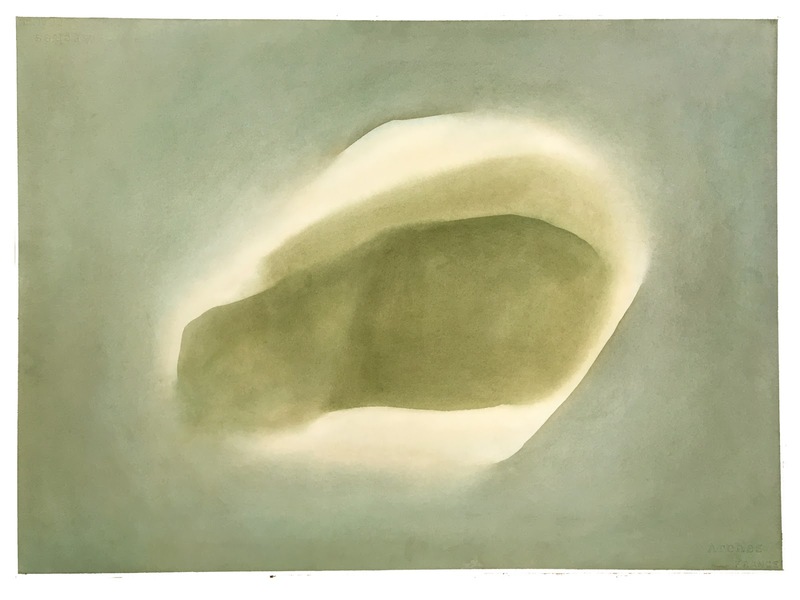 "For Georgia" (1977), watercolor on paper, 21”x29”. 6. Which artists have influenced your style or direction? 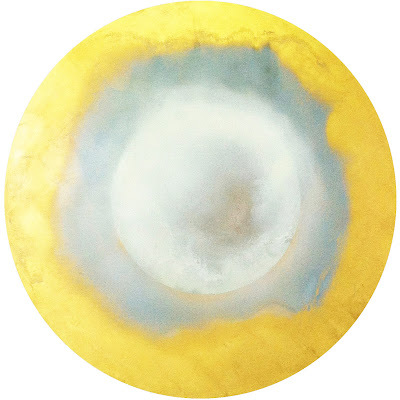 (Send image as example) Key influences include Mark Rothko, Mary Oliver, Georgia O’Keefe, and Czelsaw Milosz. Rothko helped me realize that the work could address the invisible aspects of energy. O’Keefe was a model for a very young me, and poetry has inspired me all of my life. 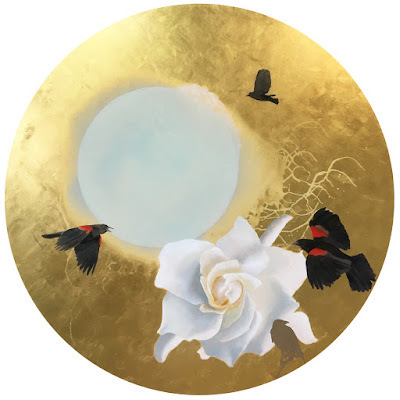 "Aetherium, Mountain of God," oil with 21k moon gold on patterned, prepared paper, 18”x14”, sold. "Wind Visits the Aetherium," oil on aluminum.